Today’s color palette is inspired by my nieces and nephews; a rubber duck color palette extravaganza … or something like that. Like most photos, there’s a story behind this one. After a play-day at my house with 4 awesome kids, when I cleaned up after they left I found some toys left out … and it was so cute. One of the kids left my rubber ducks out in kissing position … I don’t know who it was, but my suspicious lead me to believe it was a girl! 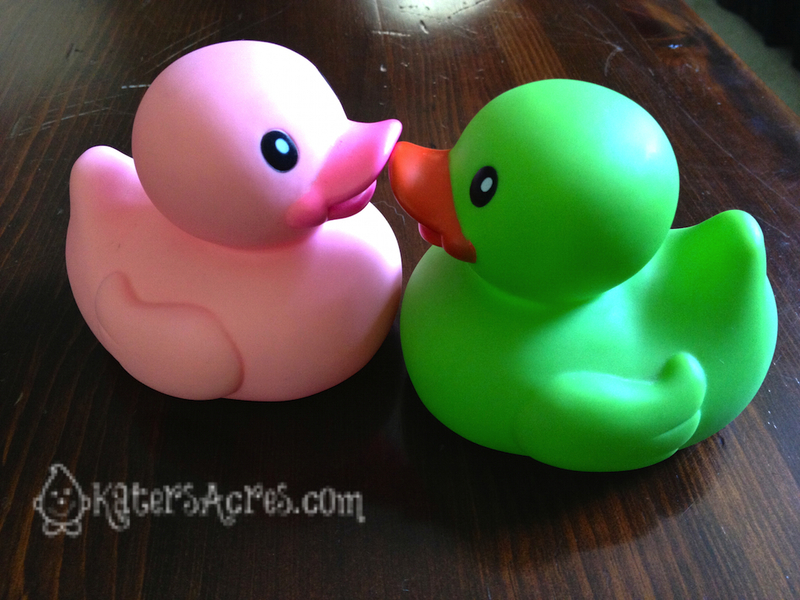 But no matter who it was it’s one of those things that make you smile, laugh, and say: “How cute is that?” So today’s color palette is all about these rubber ducks. Use the rubber duck color palette to create your own masterpiece! Create digital art, scrapbook a new page, draw in your journal, break out the clay and make something! The sky (or water in this case) is the limit.